The three pie charts show the changes in annual spending by a particular UK school in 1981, 1991 and 2001. Summarise the information by selecting and reporting the main features, and make comparisons where relevant. Here is a band 7 Academic IELTS Report on this topic submitted by one of our students. Need help with writing? 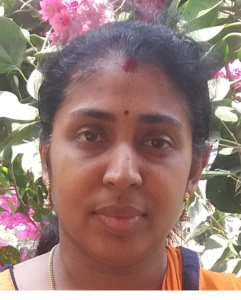 Get your writing samples corrected by me. 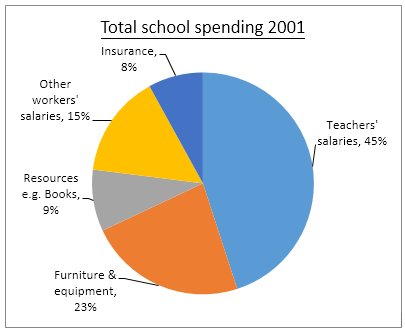 The pie charts give an analysis of the expenditure of a UK based school in the years 1981, 1991 and 2001. From the given data, it can be seen that the school spent most of its annual budget on salaries. It is also seen that some avenues of expenditure such as furniture and equipment showed a fluctuating spending pattern, while spending on insurance showed a steady increase. It can be seen that in all the three years, the school spent more than two-third of its budget on salaries of teaching and non-teaching staff. While the spending on teachers’ salaries was 40% in 1981, it rose to 50% in 1991. In 2001, teachers’ salaries accounted for 45% of the total expenditure of the school. On the other hand, the monetary allocation for resources fell from 15% in 1981 to 9% in 1991. The budgetary allocation for furniture and insurance showed an increase in (write: during) the period in review. The expenditure for insurance increased from 2% in 1981 to 8% in 2001. Meanwhile, the spending on furniture and equipment rose from 15% in 1981 to 23% in 2001; however, this sector showed a fall in investment of 5% in 1991.